Ecalpemos: The "Gospel of Jesus Wife" and why it changes nothing. 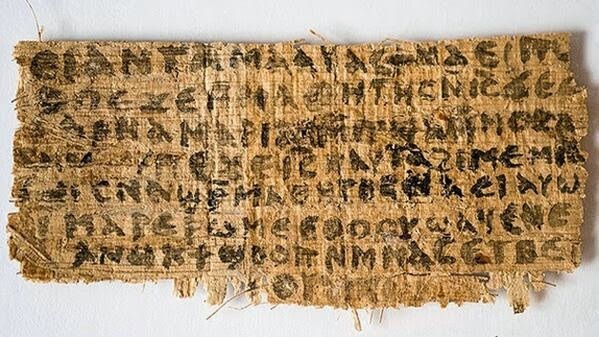 The "Gospel of Jesus Wife" and why it changes nothing. .... even if authentic, the fragment would have no bearing on (1) the marital status of Jesus of Nazareth, (2) the question of women’s role in churches, (3) the question of Catholic priestly celibacy, etc. None whatsoever. Nada. 2. Atheist critics, who seem to have seized on the fragment's recent early carbon dating by MIT and Harvard as evidence that it must be true and therefore the gospel accounts of Jesus life aren't. The odd thing, of course, is that the carbon dating puts it at 700AD, far later than the canonical gospels. If any of the four canonical gospels were found to be from 700AD the same critics would be using that dating as evidence that those documents could not be accurate. I guess that a late date can be used to cut any way you want it to.